4 – 5 February 2019. Nairobi. Workshop on Sustainable Management of Integrated Open Weather Data and Agricultural Research Data to Create Impact for Smallholder Farmers. 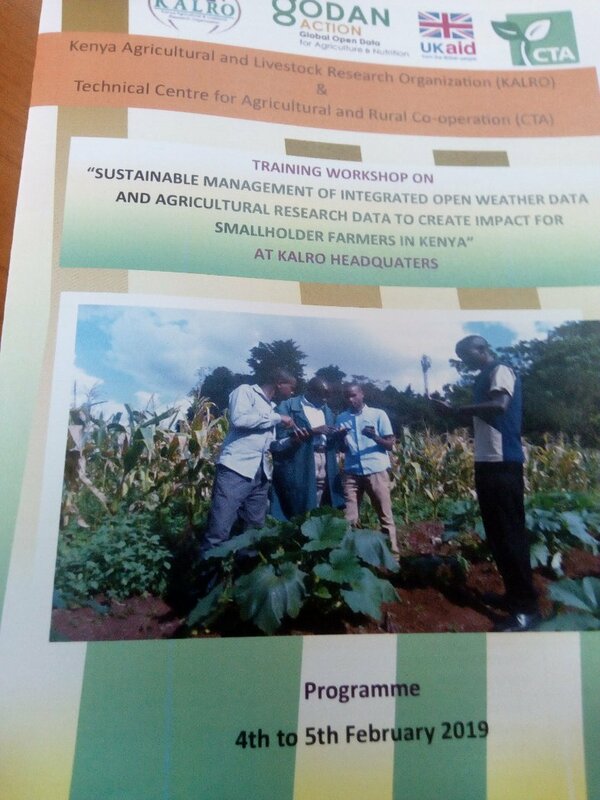 In Kenya, different data producers, intermediaries and data consumers require capacity building and skills to be able to manage and use open data in agriculture and nutrition effectively. On the other hand, a number of ICT experts, agricultural researchers, practitioners and policy-makers have turned their focus on the need obtain added value from data products and services for smallholder farmers specifically using information and communication technologies. However, limited technical capacities of data producers, data managers and data consumers has hindered effective generation and utilisation of data products and services. making data open and data sharing principles and provision of value-added data products and services for smallholder farmers. Also to improve skills and understanding of participants to use data to support decision-making at all levels, integrate data into agricultural information and systems, to provide timely and “authoritative” data driven based evidence or facts. In this Webinar, Jess Fanzo – Co-Chair of the Global Nutrition Report Independent Expert Group – discusses the benefits that Open Data can have for nutrition, and ‘The Global Nutrition Report’, which convenes existing processes, highlights progress in combating malnutrition, and identifies gaps and proposes ways to fill them. This e-learning course is the result of a collaboration between GODAN Action partners, including Wageningen Environmental Research, AgroKnow, AidData, the Food and Agriculture Organization of the United Nations (FAO), the Global Forum on Agricultural Research (GFAR), and the Institute of Development Studies (IDS), the Land Portal, the Open Data Institute (ODI) and the Technical Centre for Agriculture and Rural Cooperation (CTA). This online course aims to strengthen the capacity of data producers and data consumers to manage and use open data in agriculture and nutrition. One of the main learning objectives is for the course to be used widely within agricultural and nutrition knowledge networks, in different institutions. 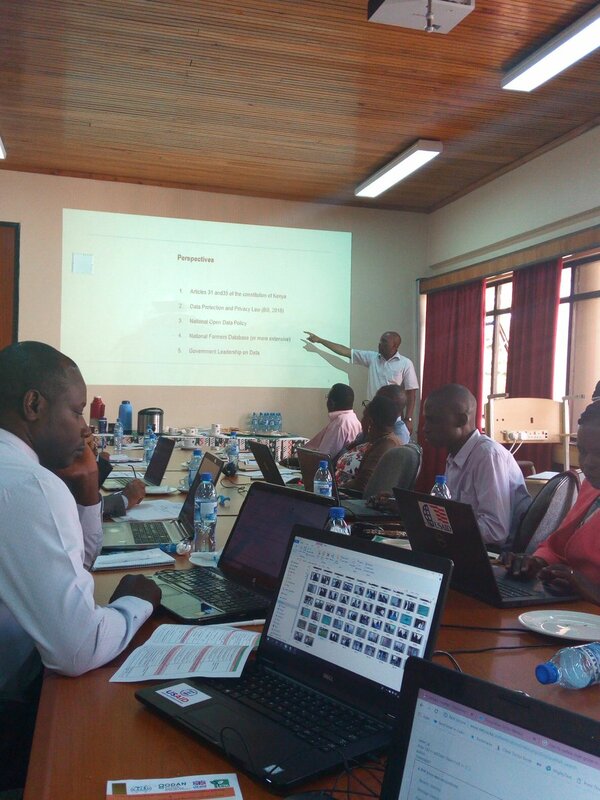 The course also aims to raise awareness of different types of data formats and uses, and to highlight how important it is for data to be reliable, accessible and transparent.